This beautiful holiday home, placed in The Sanctuary at Kings Cove, close to the lake and an easy stroll from Kings Cove Golf Club, features manicured, native gardens and a fully equipped kitchen. Guest staying at Coolabah by the Golf Course can prepare a meal using the gas BBQ. There are 2 bathrooms, both with a walk-in shower and a separate bath. There is a flat-screen TV, DVD player and CD player. 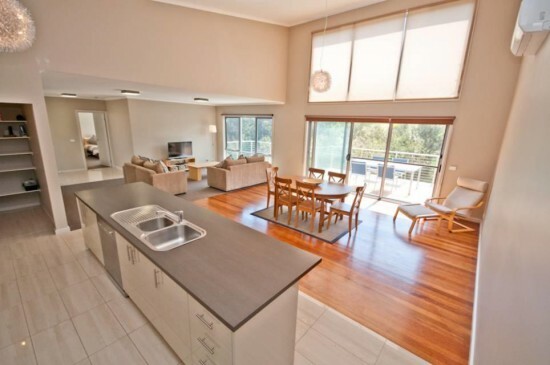 Coolabah by the Golf Course is a holiday home located in Metung in the Victoria Region and is 14 km from Lakes Entrance. The unit is 19 km from Bairnsdale.